When you think of the best chat applications for Android devices, most of you will think about either WhatsApp Messenger or WeChat app but there are many other amazing applications as well that allows you to send free text messages and Kik Messenger is one of them. The reason Kik app stands out from the rest is that you can do a lot of things without leaving the application. If you have the app installed then you can update it to the latest version, i.e. 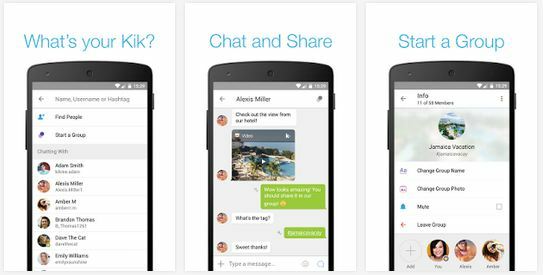 Kik Messenger 8.2.1.326 APK or just download the file separately and install the updates manually. With Kik Messenger installed on your Android device, you will not only be able to send free text messages to your friends but you will also be able to send images, videos and other media files. Apart from that, it comes with a built-in browser using which you can surf the Internet to find funny items to share with your friends. So if you still haven’t used Kik Messenger app then I recommend you to go to Google Play Store app on your device right now and download the latest Kik Messenger 8.2.1.326 APK for Android on your smartphone. Since the application allows you to do a lot of things from within the dashboard itself, it has become quite a popular one. So you can download Kik Messenger for Android after you read about all its features. 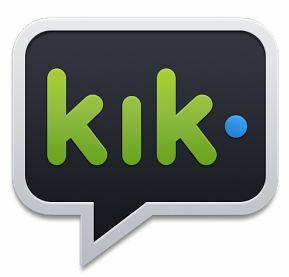 No Phone numbers: The one thing that is different in Kik that any other chat application is that it doesn’t require you to add your phone number to the app. You can set your unique username and start using the app. Decide Who to Talk to: There are some filters available in the application that lets you talk to only those people who you want to talk to and you can ignore the others. Share Everything: You can not only send text messages for free but you can share almost everything you like – memes, gifs, videos, images, celebrity news etc. Create Groups: You can start a public group with up to 50 members capacity using a hashtag or you can also create a private group if you want with the app. Always Free: The application is not only free to download but there are no hidden charges and all you need is a working Internet connection to use the app. Different chat bubble colors and no more sidebar. Record a video to share your precious moments with your friends. You can easily download the application on your smartphone by going to Google Play Store but if you want to get the latest Kik Messenger APK then you can use the below download link. Once you have downloaded the APK file successfully, you can transfer it to your smartphone or tablet and then install it manually on your device. I hope that you liked the article to download Kik Messenger 8.2.1.326 APK for Android and if you did then click on the Like, Tweet and +1 button to share it with your friends.